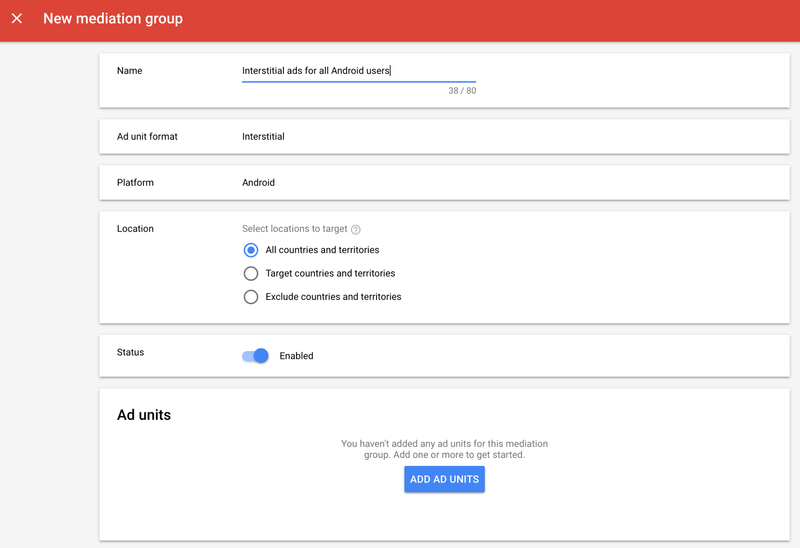 This guide is intended for publishers who want to use the Google Mobile Ads SDK to load and display ads from the Facebook Audience Network via mediation. 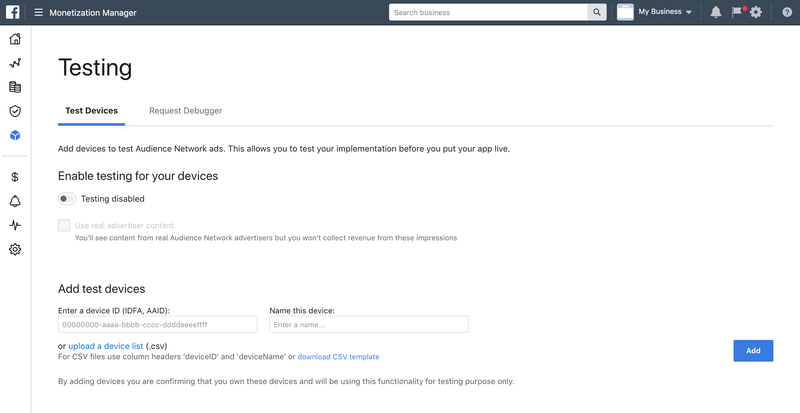 It covers how to add Facebook ads to an ad unit's mediation configuration, how to set up Ad Network Optimization (ANO),and how to integrate the Facebook Audience Network SDK and adapter into an Unity app. 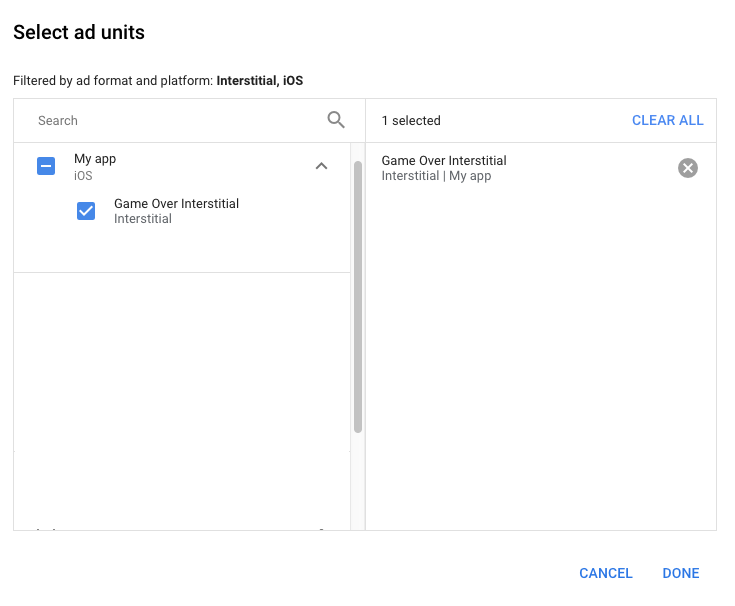 A working Unity project configured with Google Mobile Ads SDK. See Quick Start for details. Note: The latest Facebook Audience Network SDK usually requires the latest version of Xcode. First, sign up and log in to your Facebook developer account. Navigate to the My Apps page by clicking the My Apps button in the top-right corner. Add your app to the Facebook console by clicking the Add a New App button. Fill out the form and click Create App ID to add your app to Facebook. Note the App ID of the app you created. This value is used in the next step. You can always find your App ID from the My Apps page. 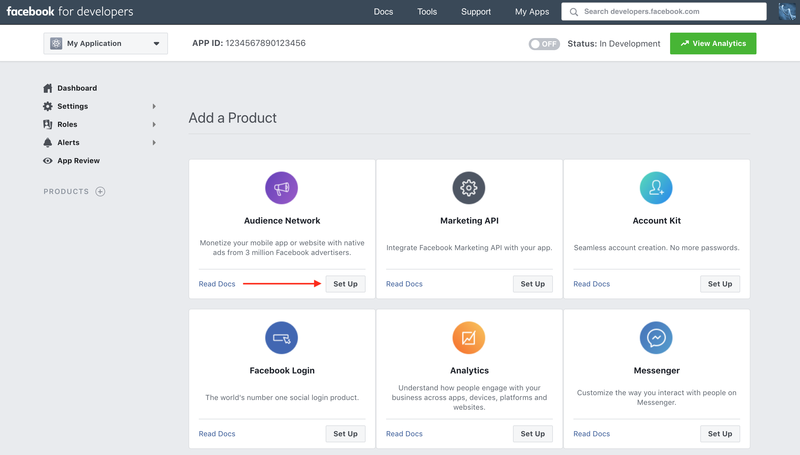 Next, in the Facebook dashboard for your app, add Facebook Audience Network to your app by clicking Add a Product > Audience Network > Set Up. If you haven't yet set up a Business Manager account, you'll be prompted to create one. If you've set one up already, skip ahead to Generate a System User Access Token. Click Create a new Business Manager account and fill out the required fields with your business details. Once you've filled out the required information, you'll be prompted to create a property for your app. Enter the desired name of the property for your app and click Go to Monetization Manager. Next, select the platform you want to monetize. If your app supports both Android and iOS platforms, you need to add each of them separately. You will be prompted to create an ad placement for your application. Select a format and click Next. The next page presents an overview of the placement you created. Take note of the Placement ID which will be used when setting up your AdMob Ad Unit ID. 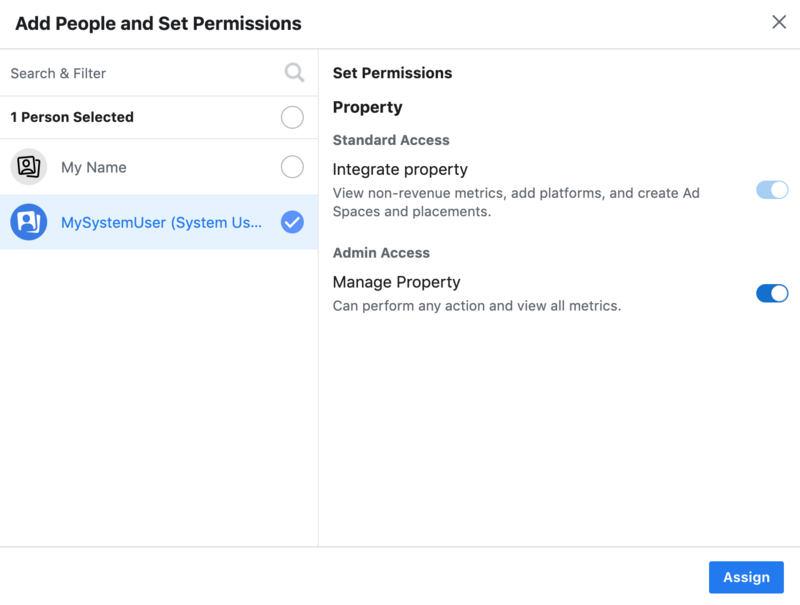 In addition to the App ID and Placement ID, you'll also need the Facebook System User Access Token to set up your AdMob Ad Unit ID for mediation. 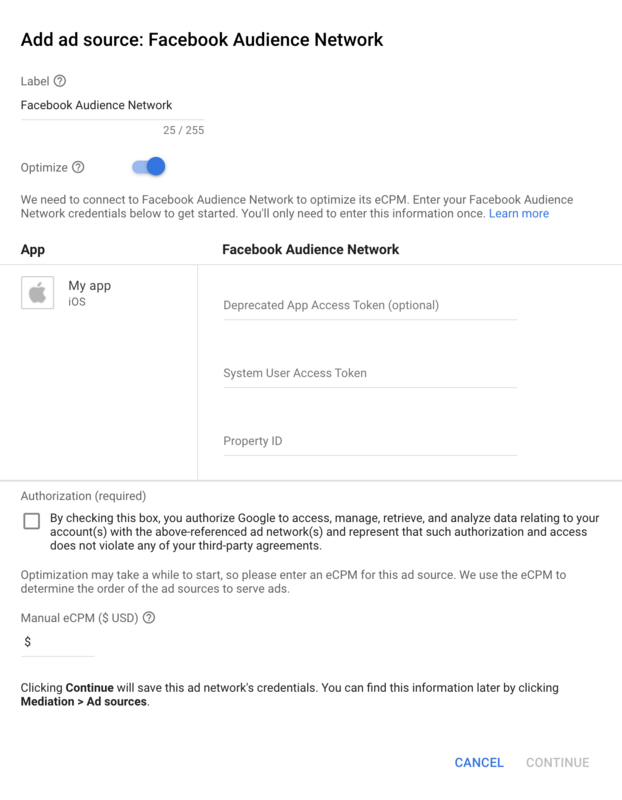 In order to set up Ad Network Optimization for Facebook Audience Network, you'll need to generate a system user access token and associate it with your property. 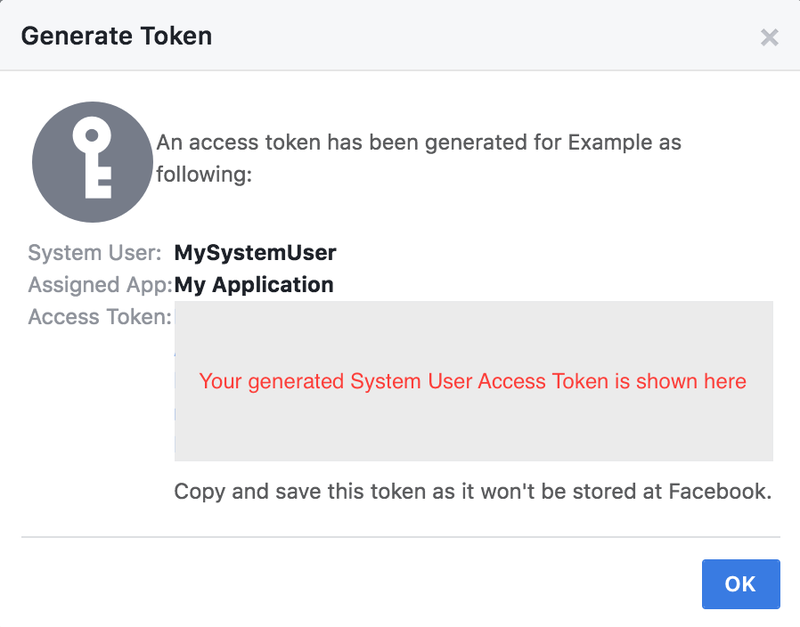 To generate a system user access token, sign in to Facebook Business Manager, click the Business Settings icon and navigate to System Users on the left navigation bar. If you don't already have a system user, click Add to create one. 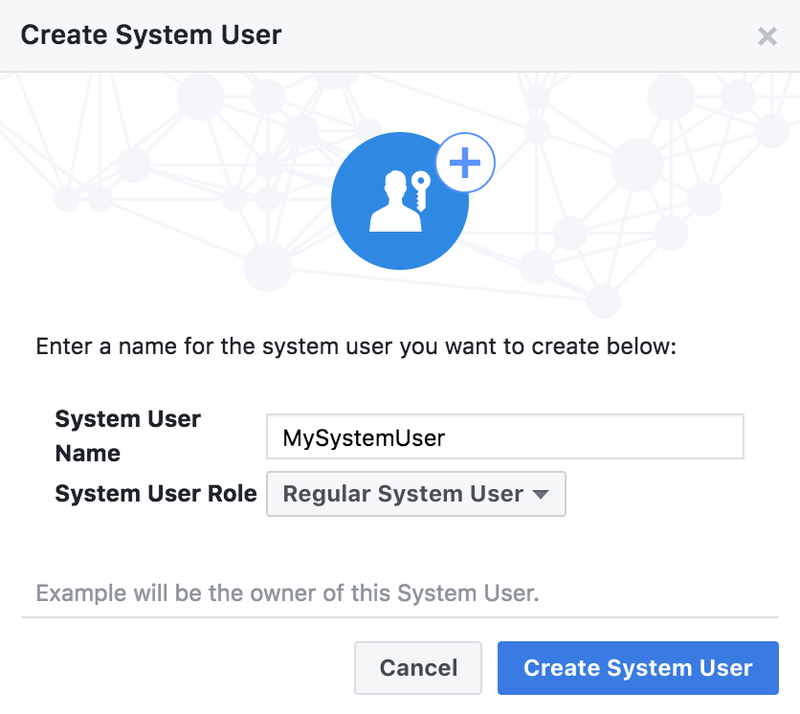 Fill out the System User Name field, select Regular System User as the System User Role, and click Create System User. 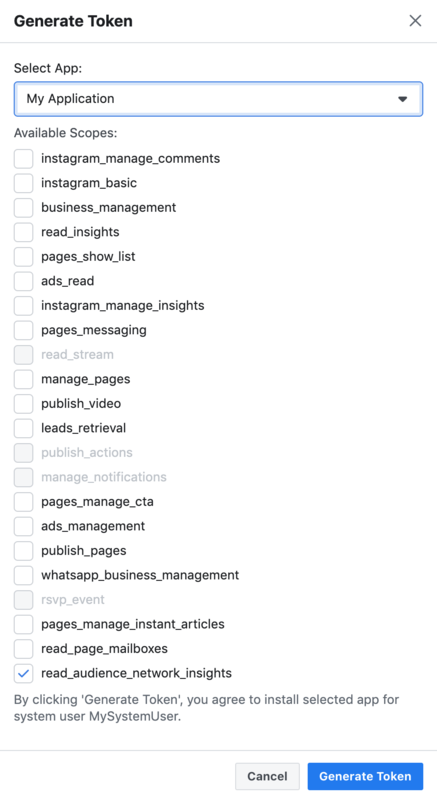 To import your apps to Facebook Business, click Accounts > Apps > Add. To get the App ID, go to the Facebook developers app page and find your app from the list. The App ID should be displayed under the app name. After filling out the App ID field, click Add App to continue. Navigate to Data Sources > Properties. 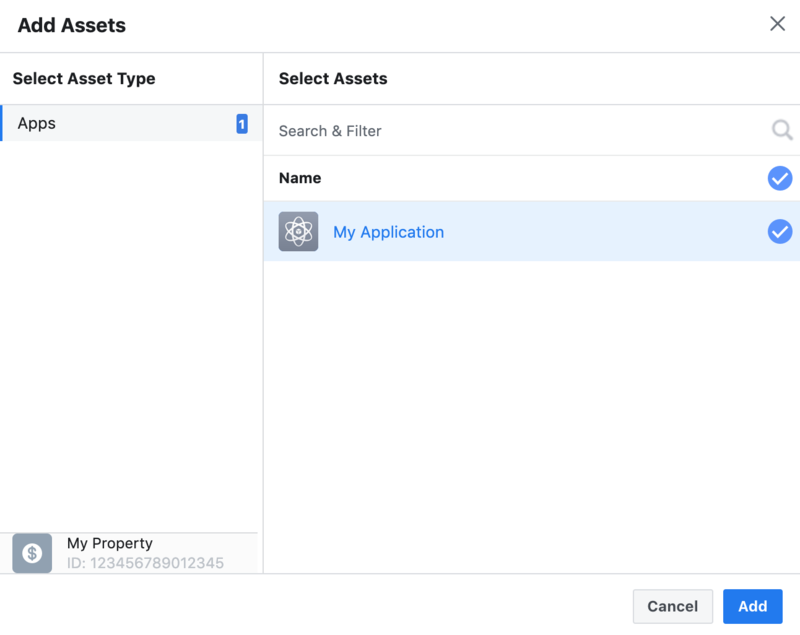 If you haven't created a property for your app, click Add to create a new property. Enter your property name in the resulting form and click Next. Select your app from the list to associate it with the property and click Next. Add the System User created earlier as a Property Manager and click Save Changes. Navigate back to System Users, select the user you created, and click Generate New Token. 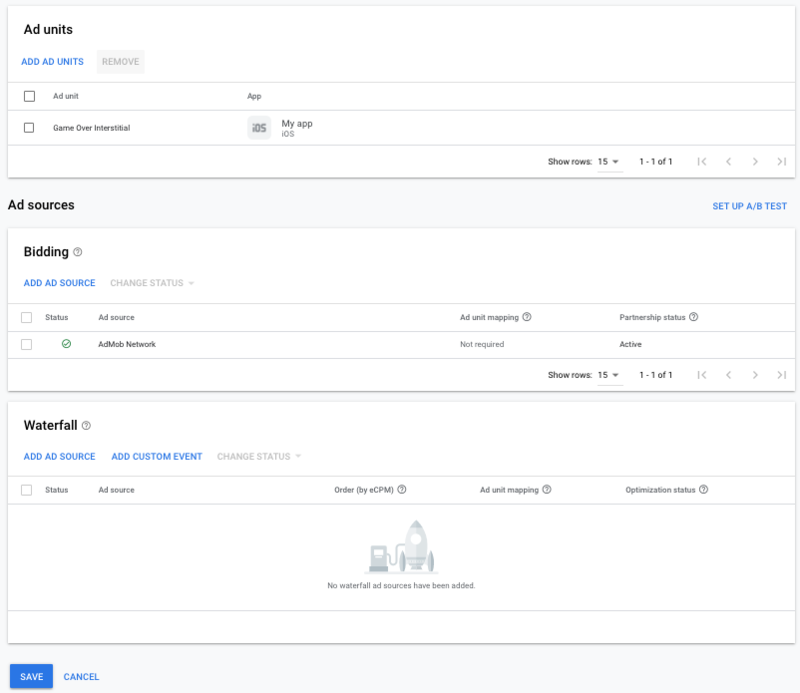 Select your app from the list, add read_insights and read_audience_network_insights as the Available Scopes for the token to be generated, and click Generate Token. Finally, take note of your System User Access Token. You need to add Facebook to the mediation configuration for your ad unit. First sign in to your AdMob account. Navigate to the Mediation tab. 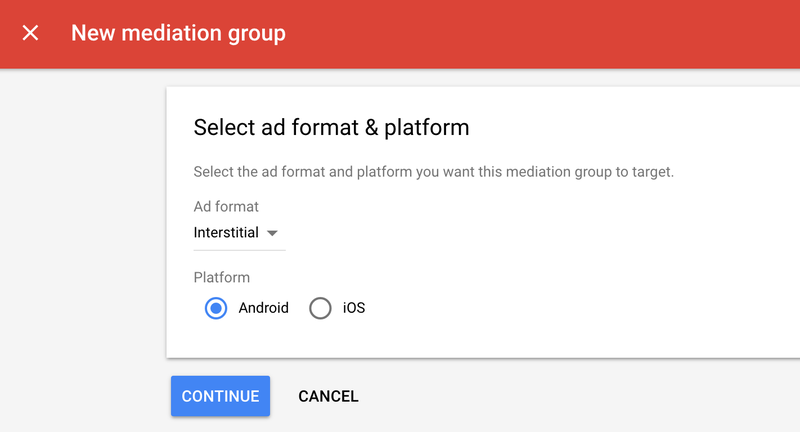 If you have an existing mediation group you'd like to modify, click the name of that mediation group to edit it, and skip ahead to Add Facebook Audience Network as an ad source. 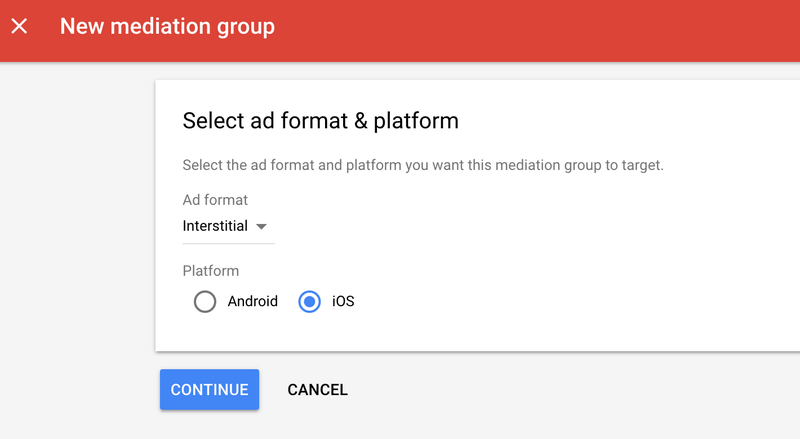 Associate this mediation group with your existing AdMob ad unit. Then click Done. You should now see the ad units card populated with the ad units you selected. 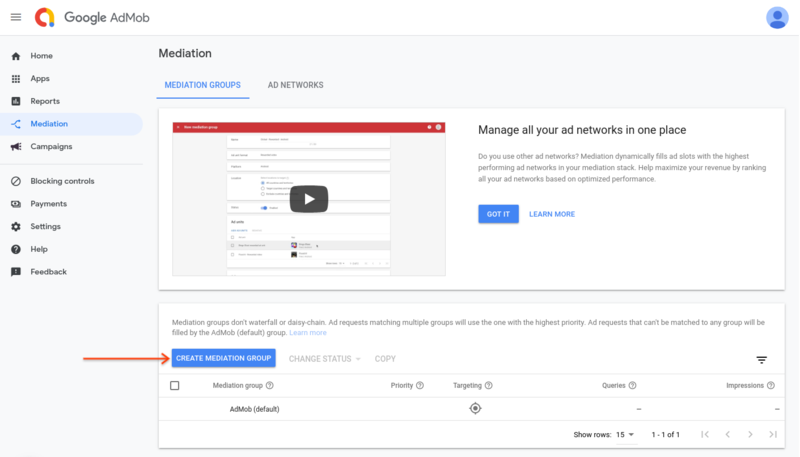 In the Ad Sources card, select Add Ad Network. Select Facebook Audience Network. Enable the Optimize switch. Enter the System User Access Token and App ID obtained in the previous section. App Access Token is deprecated and can be left blank. 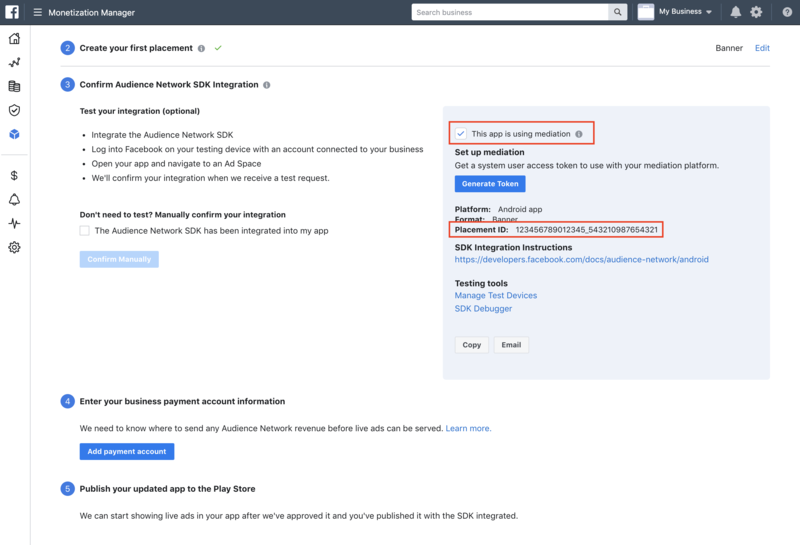 Review and check the Authorization checkbox to set up Ad Network Optimization (ANO) for Facebook Audience Network. 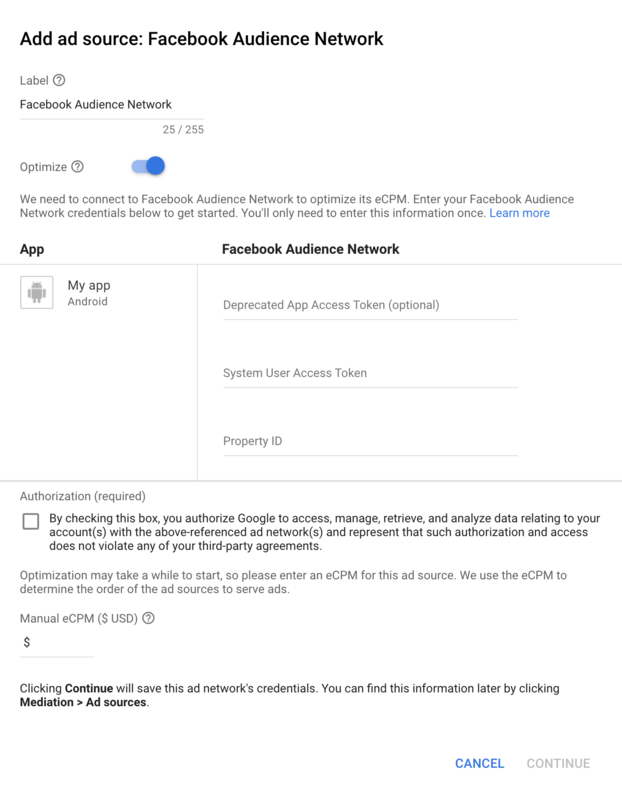 Then enter an eCPM value for Facebook Audience Network and click Continue. Enter the Placement ID obtained in the previous section. Then click Done. 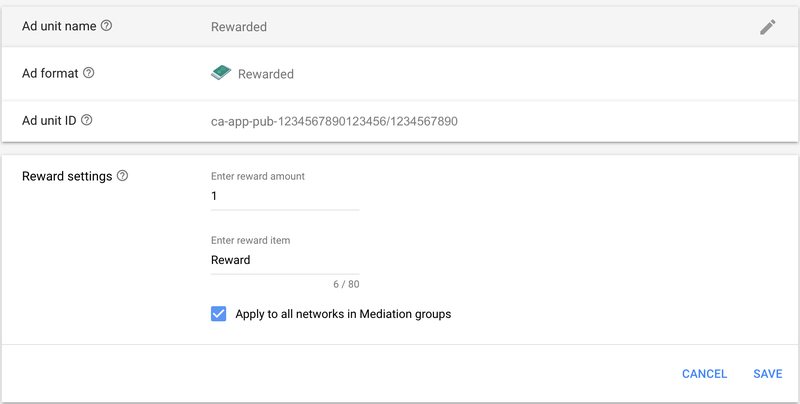 Note: Ad network optimization takes a few days to gather data to accurately calculate eCPM for a mediation network. In the meantime, the ANO status will be PENDING, so you must manually set an eCPM value for the network. Once the eCPM can be calculated, ANO will automatically start updating the eCPM on your behalf. 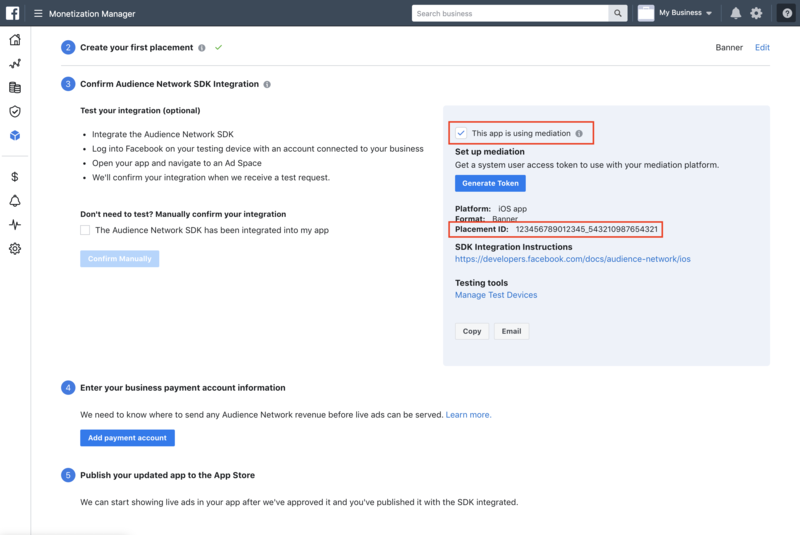 If the AdMob Dashboard is showing a PENDING or ERROR status for more than 72 hours, verify that you have added the System User and an application to each of your Properties. If you don't apply this setting, the Facebook adapter defaults to a reward of type "" (empty string) with a value of 1. The Facebook SDK does not provide specific reward values for its rewarded video ads. 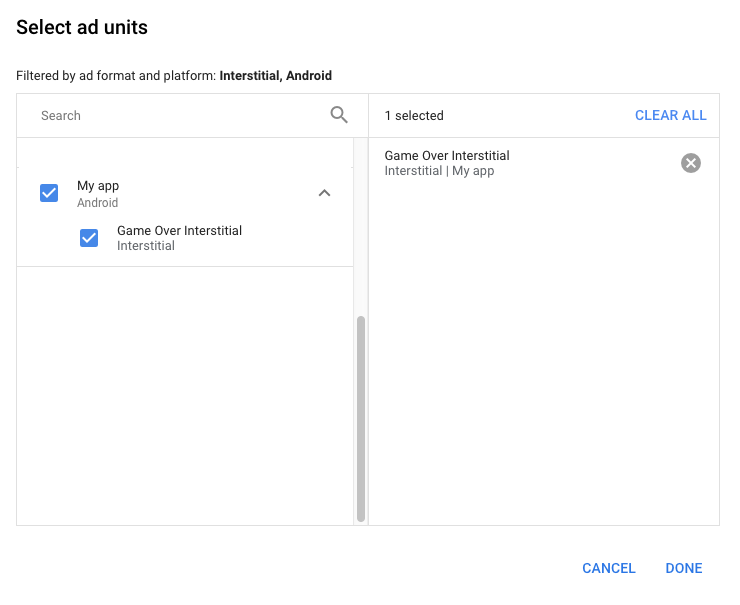 Download the latest version of the Google Mobile Ads mediation plugin for Facebook and extract the GoogleMobileAdsFacebookMediation.unitypackage from the zip file. 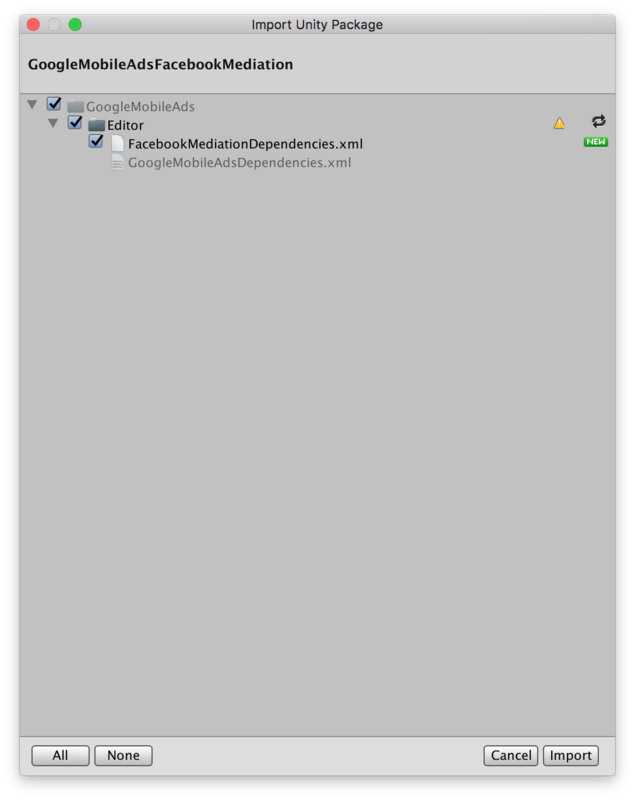 In your Unity project editor, select Assets > Import Package > Custom Package and find the GoogleMobileAdsFacebookMediation.unitypackage file you downloaded. Make sure that all the files are selected and click Import. No additional code required for Facebook integration. 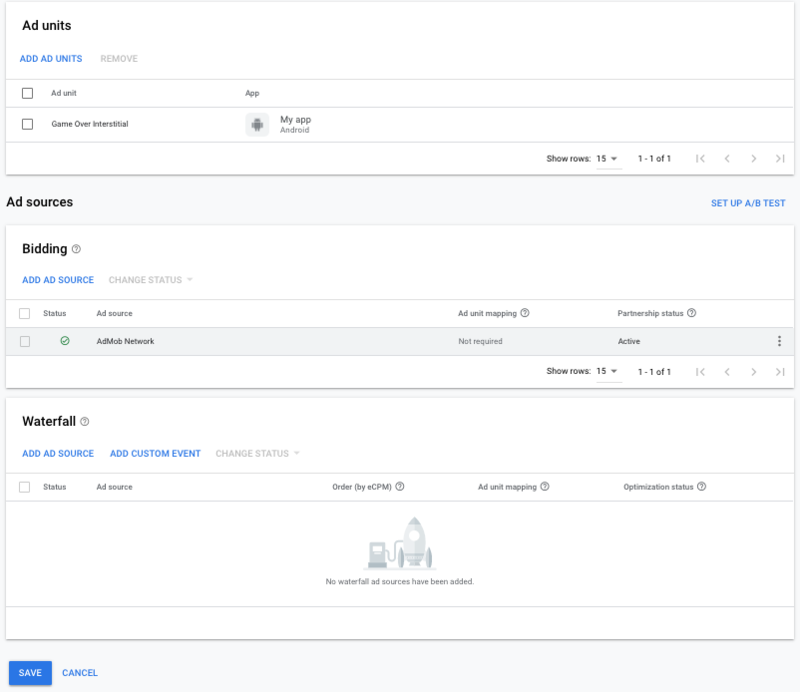 Facebook ads can be tested by adding the tester's Facebook account as a Tester under the Roles tab on the left-hand side in your Facebook app's dashboard (Administrator or Developer role will also be able to test the ads). The tester will need to log in to the Facebook app on a test device to begin testing. See the Testing Audience Network Implementation guide for more details. That's it! You now have a working mediation integration with Facebook's Audience Network. Please review Facebook's guidance for information about GDPR and Facebook advertising.